What a perfect transitional look for Spring! I love the skirt/dress and how you styled it. 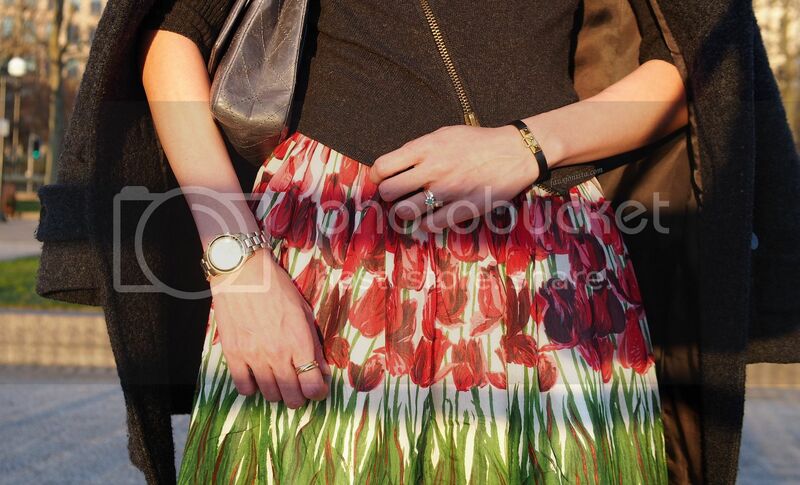 What a beautiful print on that dress-as-skirt! Gorgeous transition outfit from winter to spring! Great taste in accessories!